Turn of the century craftsmanship with the tap of a hammer. 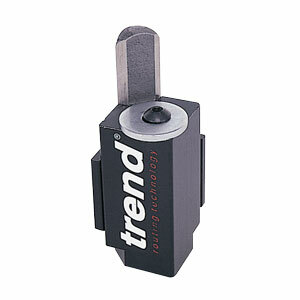 Create a beautiful ebony pinned look with the 5/16" Mortise Tool and Artisan Accents. Combining the two allows you to create the look of Greene & Greene furniture in a fraction of the time. 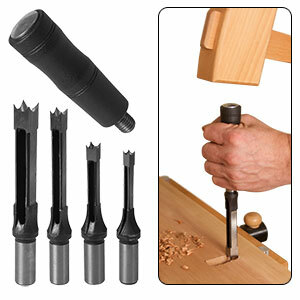 Everyone will think you spent hours using ebony pins, flush cut saws and meticulously sanding. 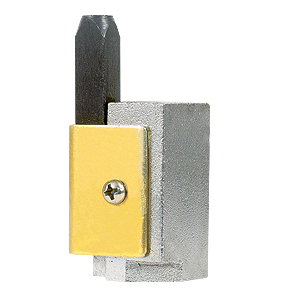 This precision made 3/8" Corner Chisel is the right tool for cutting accurate 90 degree corners for mortises, hinges, locks, etc. 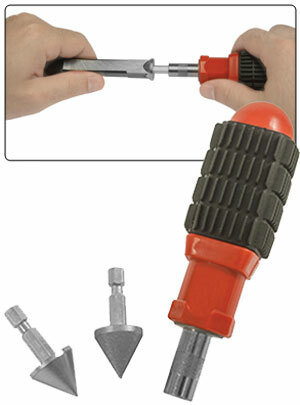 While this chisel can be used for hinges and locks, it's primary function is to penetrate deeper mortises. Once your bore holes are drilled the 3/8" mortise corner chisel makes quick work of your corners for a clean square look. 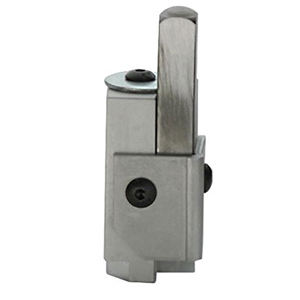 The chisel is made with heavy duty steel and the handle has a brass ferrule and shock absorbing washer. 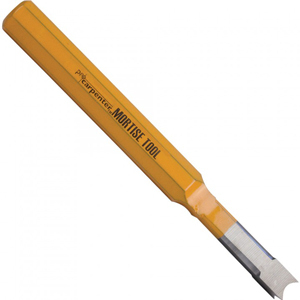 These Mortising Chisels are great for drilling square holes in wood with a mortising machine or a mortising attachment (not included). 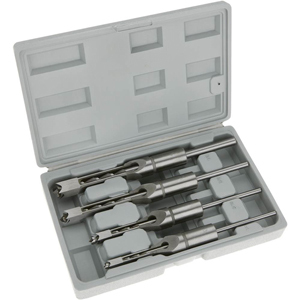 Set of 4 includes the following sizes: 1/4", 5/16", 3/8" and 1/2". This quality set also comes with a convenient plastic storage case. Chisel shank Diameter is 3/4". 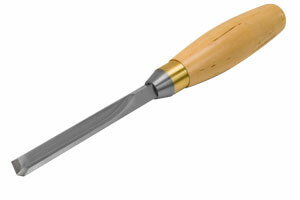 This spring-loaded 3/8' chisel from Whiteside is designed for squaring the rounded corners of routed hinge mortises. Place it in the corner of the mortise and tap it to cuts a perfect 90 degree corner, and because it's spring-loaded it re-sets instantly for the next corner. The top tool for cleaning up shallow mortises and hinge insets. A sturdy production tool.